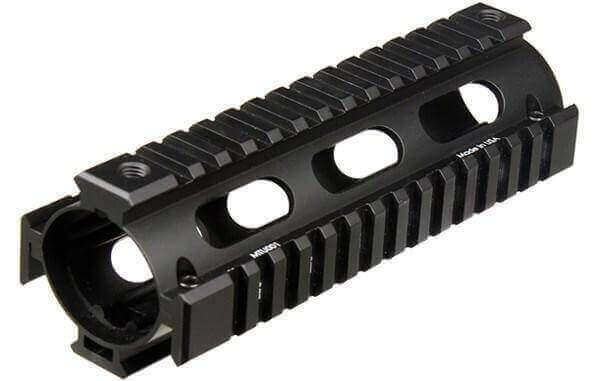 The UTG Pro Drop-in Carbine Quad Rail is easy to install, and replaces factory plastic handguards with no modification required to your firearm. It provides many customization options, allowing the installation of bipods, grips, lasers, lights, optics, and more. It is precision machined in the USA from aircraft aluminum, and hard anodized for a durable, Mil-spec finish.